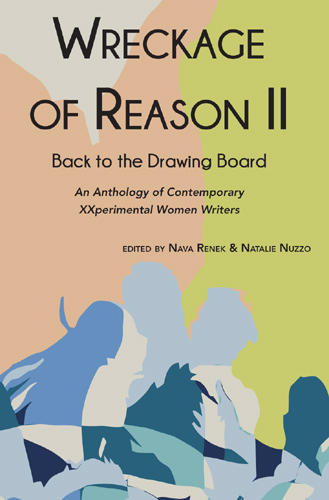 Wreckage of Reason II: Back to the Drawing Board was released by Spuyten Duyvil in 2014. The anthology includes 29 authors from around the globe who use different tools to tell stories and poems. Did I mention this anthology includes women writers only? I am very proud to be one of them! You can read more about my piece, “Metal Eye Drifer,” in my interview with Robin Martin. I talk about heavy metal music, getting old, emotional displacement, and crayons (at one point). Three writers in the anthology (Snežana Žabić, Margarita Meklina, and Andrea Scrima) are removed from their home countries and feel their difference deeply. Read more about culture, literature, and what “experimental” even means in the following interview. Snežana Žabić: It seems to me that “experimental writing” as a category can only really exist in a large, late-capitalist country like the US where there are five major publishers, and countless small and tiny presses, right? In former Yugoslavia and its successor states, I think there has only ever been a distinction between genre fiction and literary fiction. Within each of those categories, you could be subversive or conservative, struggling or established, in cahoots with various thugs-in-power or as far away from them as possible, marginalized or celebrated, but folks that would be considered experimental writers here would simply be writers there. I’m not sure any literary publisher in “a small place,” to borrow Jamaica Kincaid’s term, works with a profit margin.